A home remodeling project can test your nerves and your patience. There can be what seems like a never-ending series of decisions, coupled with constant unexpected surprises and urgent decisions. All of it can combine to create a situation that, frankly, can really stress you out. Focus on the finish line. First, and perhaps most importantly, you must concentrate on why you are embarking on this project in the first place. You most likely have something you don’t like about your current space, or have some big changes you really want to make. That’s an exciting goal, one that will make you very happy in the end. Just keep picturing your new space, and how much you will enjoy it. That can serve as a great distraction from the little annoyances that are bound to crop up along the way. Remember, this is only temporary. When you are in the thick of a home remodeling project, it can sometimes feel like the job will never end. But it will—and perhaps even more quickly than you think. As with any difficult process that results in a positive change, once you reach the end, the bumpy patches you traveled along the way will quickly begin to fade into a hazy memory. Treat yourself with small rewards and the occasional escape. To keep yourself motivated to stay positive, treat yourself to small rewards as the project is moving along. Perhaps you can plan occasional shopping excursions to pick out cool items for your new space. If the noise and activity of the job site gets too overwhelming, you may even want to treat yourself to an escape that lets you head off to someplace more exciting or less noisy for a while. Visual reminders of why you are going through this whole ordeal can also be a great morale booster. 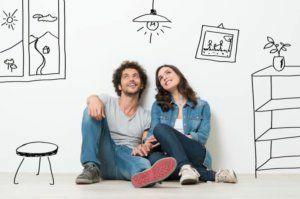 So keep drawings of the plans for the finished space handy, so you can focus on them and envision the great moments your family will enjoy in the beautiful new space. At RW Remodeling, we know home remodeling projects can be stressful, but we strive to keep anxiety to a minimum by handling all of the headaches for you.